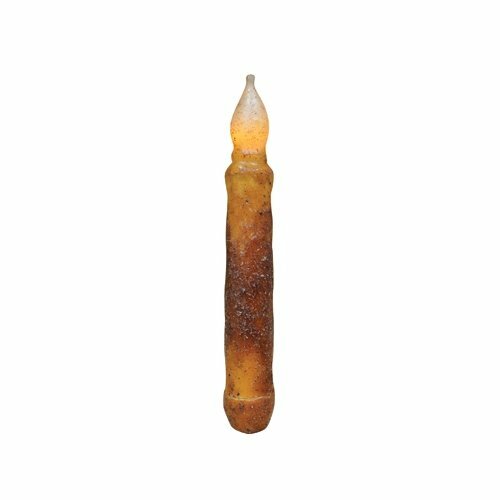 CWI Gifts Cinnamon 6" Led Taper Candle, Set of 2. Our Cinnamon LED Taper is dipped completely and given a textured look with unique variations of color and wax layering. It is 6" high and burns for approximately 200+ hours on 2 AA batteries (not included). Use in a taper holder, display it in a window, use as a centerpiece, or get creative! View More In Taper Candles. If you have any questions about this product by CWI Gifts, contact us by completing and submitting the form below. If you are looking for a specif part number, please include it with your message. Conversation Concepts Miniature Beagle Candle Topper Tiny One "A Day at Home"